As I say, I was reminded of some heraldic jokes which he called "extraordinaries" that Jay had drawn up. 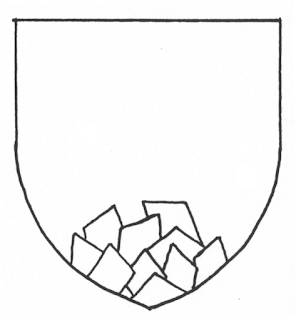 Some were simply different interpretations of heraldic blazon, such as this one, which he blazoned as Ten lozenges in pile. 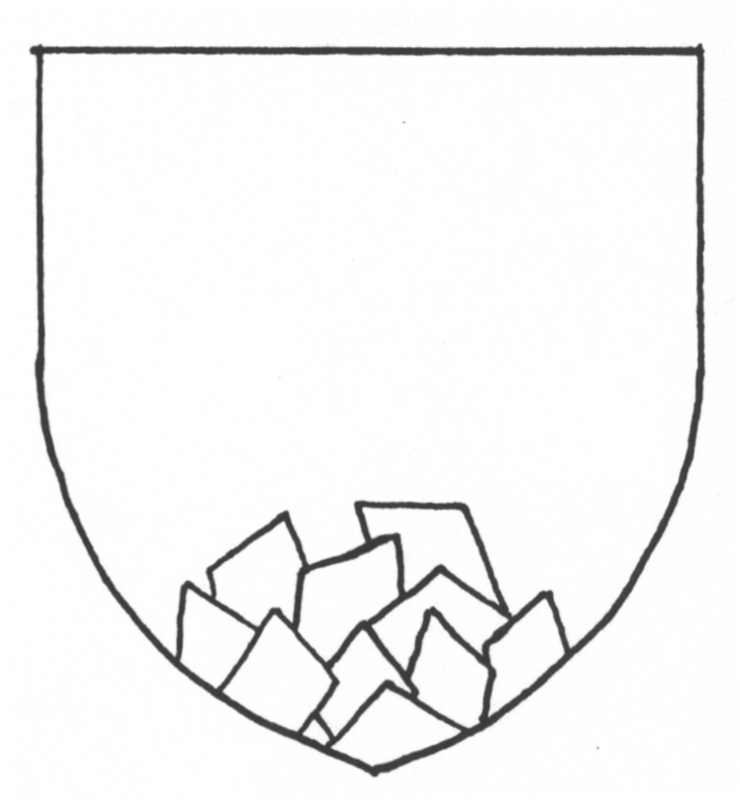 Others were an heraldic treatment applied to a different heraldic charge, for example, "a gore in its piety." 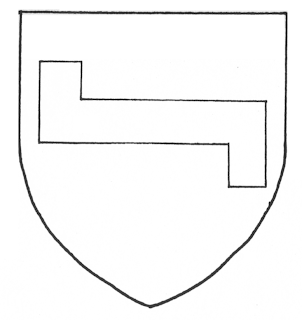 It was all very amusing, until one day while doing some research, I found some actual examples of Jay's extraordinaries used in real coats of arms. 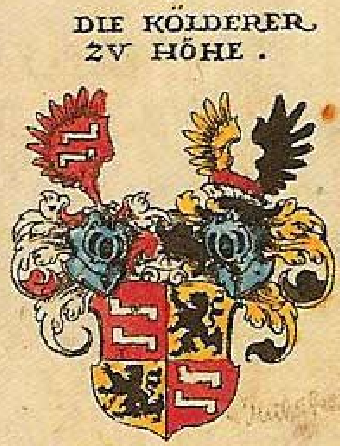 The first one that I ran across (and I'll share a few of the others in the future) was this one, which Jay had blazoned a "fylfess," that is to say, a fess couped whose ends were treated like the arms of a fylfot (what is blazoned in German a halbrueckenkreuz). Then, in Siebmacher's Wappenbuch von 1605, I saw the arms of Koelderer. The first and fourth quarters, Gules, two "fylfesses" in pale Argent, right? And on the crest, too? You mean it's not a joke charge? Well, I'll be. I have tried to find what the charge is actually blazoned, but it doesn't seem to appear in my favorite "go-to" book for German blazon, Das Grosse Buch der Wappenkunst. So I don't know what it's actually named in German. 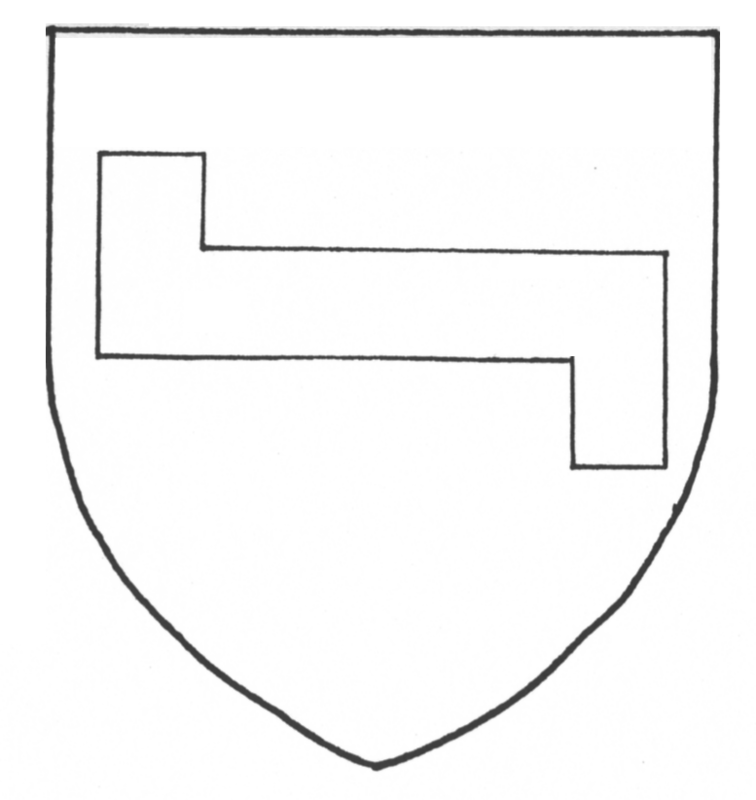 But still, who'd have thought that an heraldic joke would turn out to be a real heraldic charge?